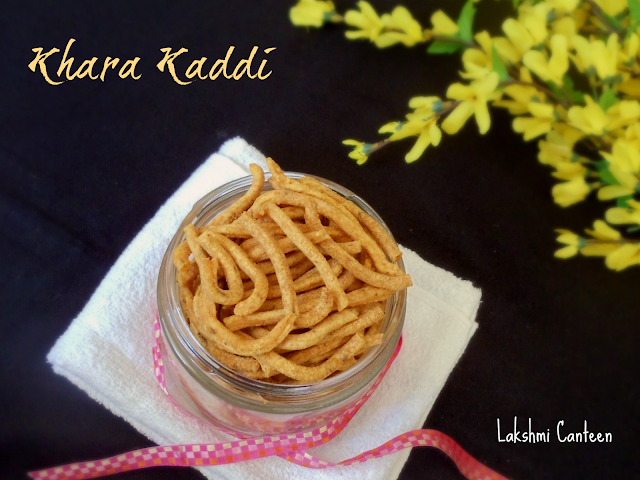 Khara Kaddi is a very popular snack using Chickpea flour (besan). In Kannada, Khara means spicy and kaddi means small stick. It got its name by its looks. I got this recipe from a cook book written by Jaya V Shenoy. I varied the amounts to suit my taste buds. It turned out very good and I really liked it. 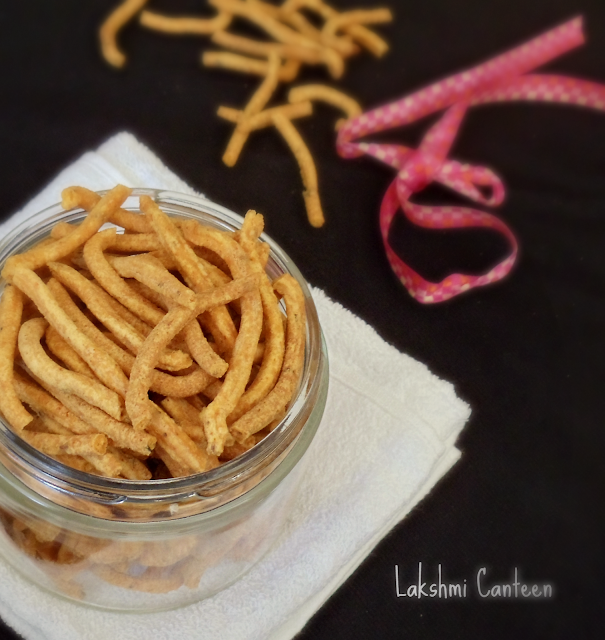 In this recipe, the chickpea dough is passed through a mould to get thick noodles. These are then deep fried. 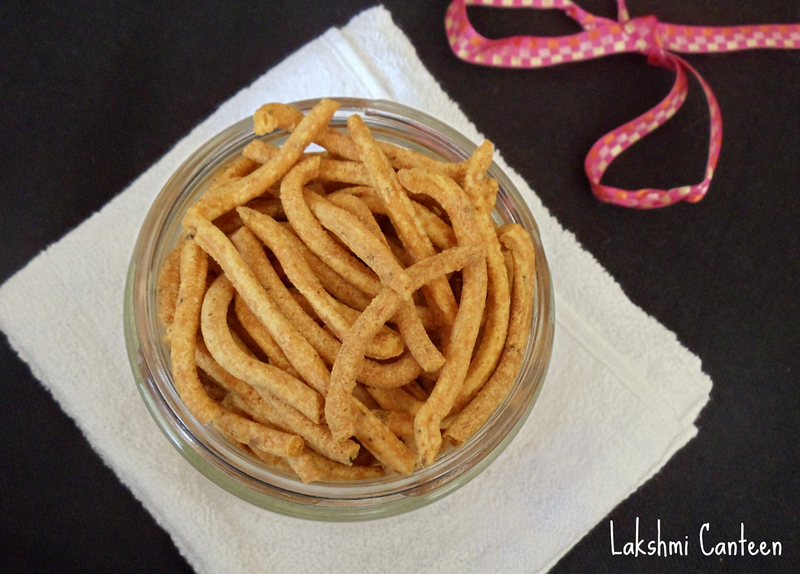 They can be had as it is or can also be used to add in spicy mixture. 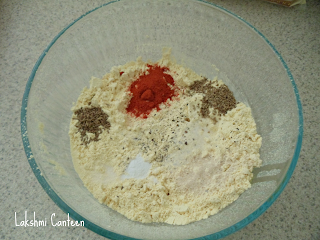 Take all the ingredients except oil, in a bowl. 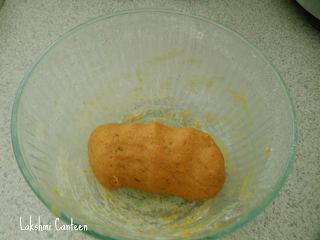 Mix it well to remove the lumps (I sieved besan to remove the big lumps). Heat 2 Tbsp of oil and then add it to the above mixture. Mix it with a spoon. 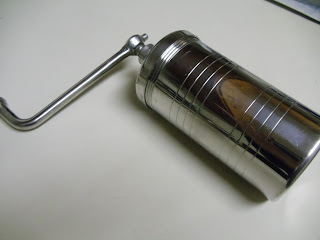 Now make a stiff , non - sticky dough adding little water at a time. At the bottom of the mould we need to add the attachment which gives the desired design. 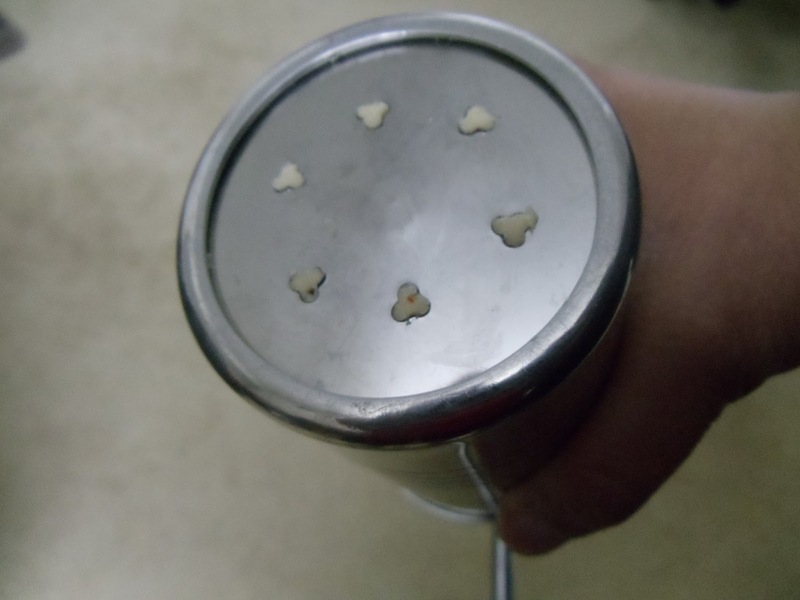 I used this (You can as well use the attachment with three holes). Now put the dough into the greased mould and then start rotating it in clockwise direction in the hot oil directly, until there is enough room for the noodles to get fried evenly (To stop the noodles from coming, rotate handle in the opposite direction). 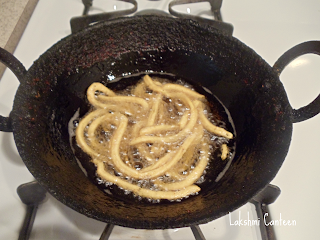 Fry the noodles on a medium flame on either sides, until it turns slight brown and the bubbles disappear . Take it out from the oil and drain the excess oil on a paper towel. Khara Kaddi is ready!! Allow it to cool and then break them into desired size. Store them in an air tight container. While cooking is not a passion for me but more of a necessity, I would love to have you over at my site to share my real passion. Thank you for the wonderful recipes.